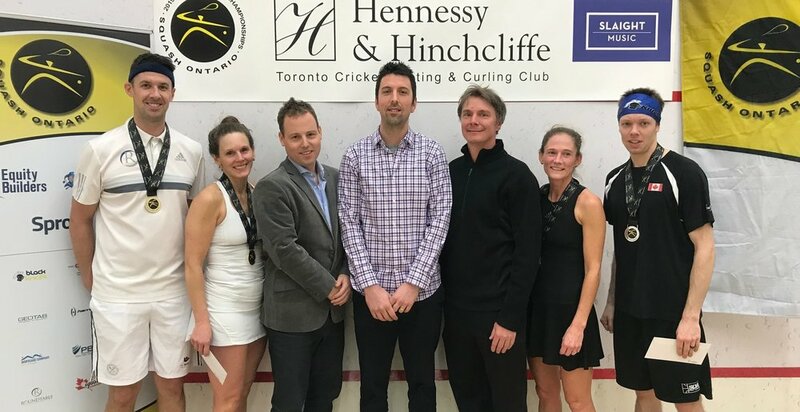 Left to right: Mixed Open Champions Scott Arnold and Seanna Keating, Squash Ontario Executive Director Jamie Nicholls, Tournament Chair Robin Clarke, Tournament Referee Mark Warren, Finalists Stephanie Hewitt and Fred Reid. 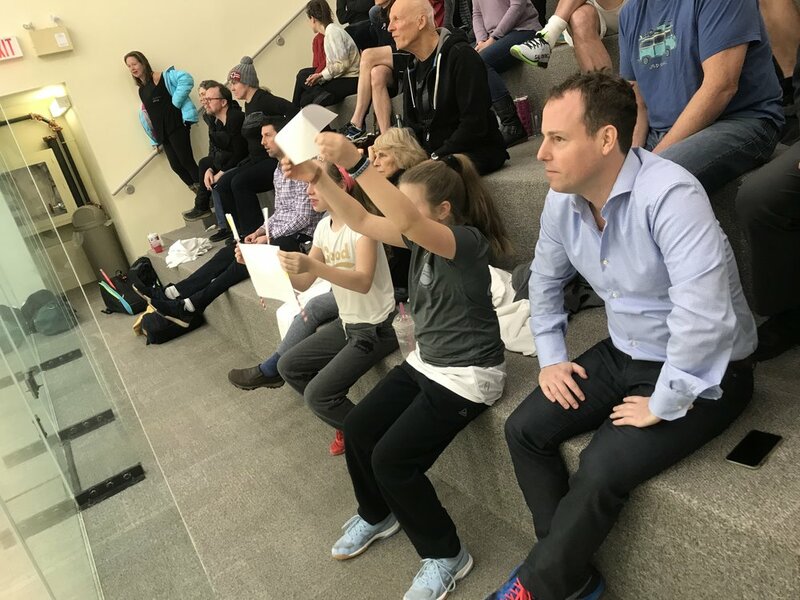 Front row: Maya Deratnay and Georgia Baldwin. 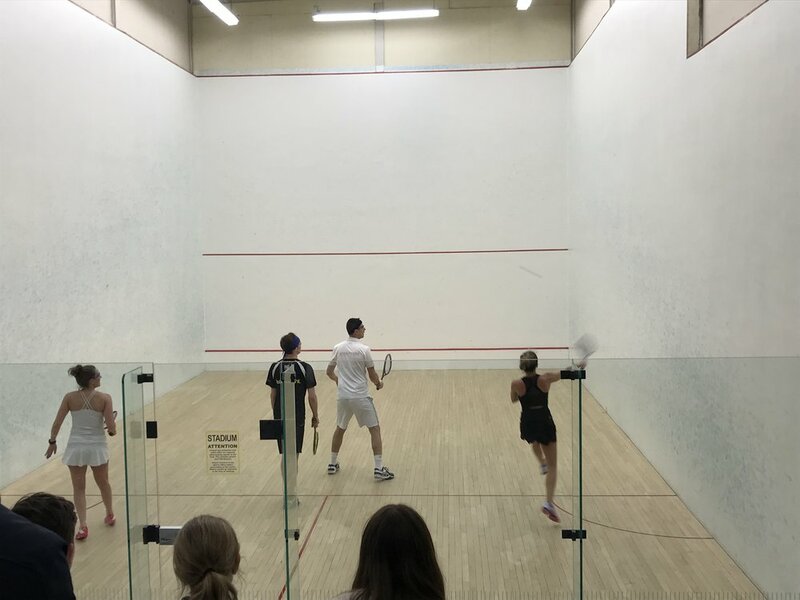 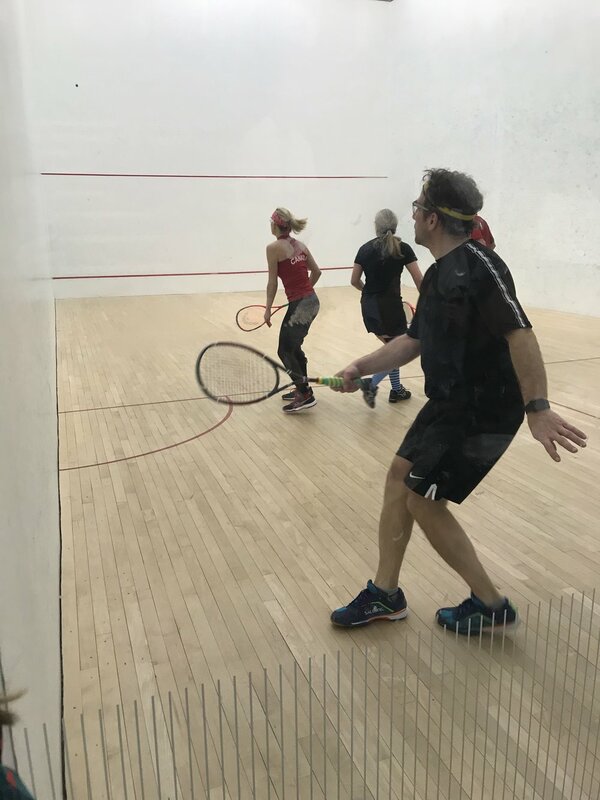 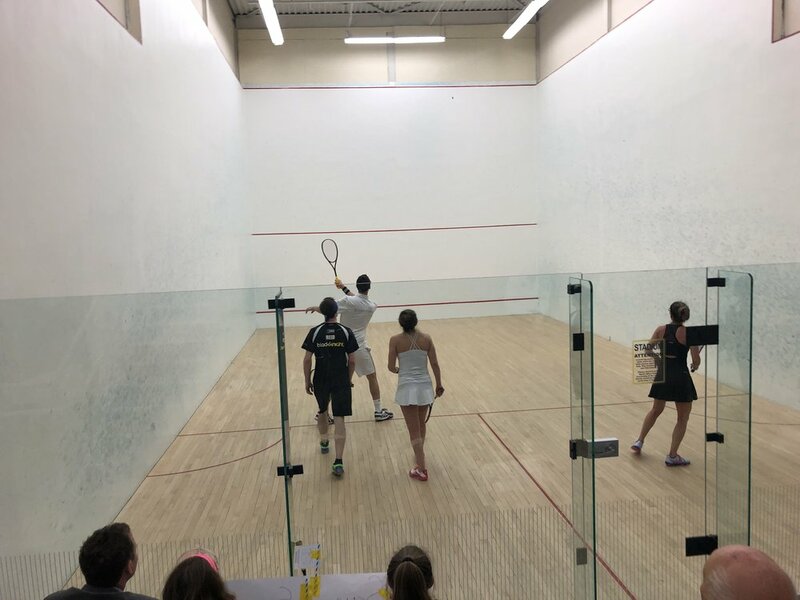 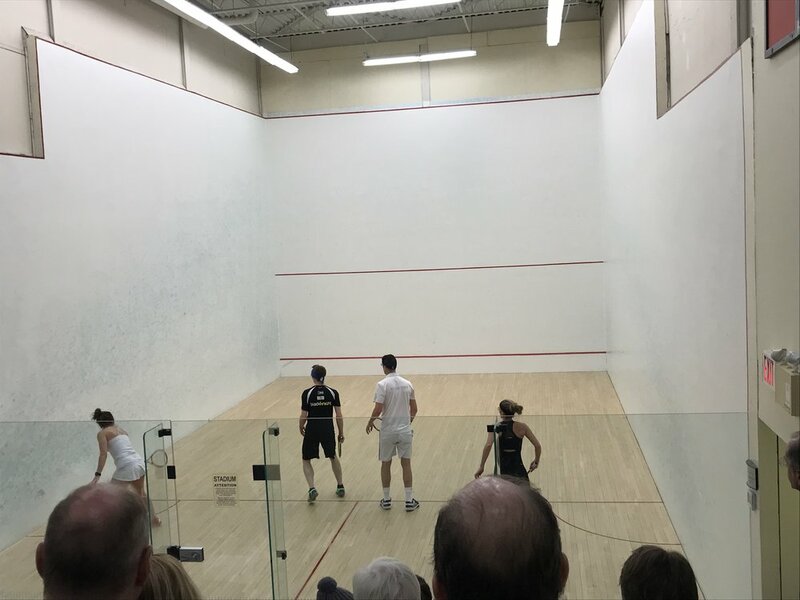 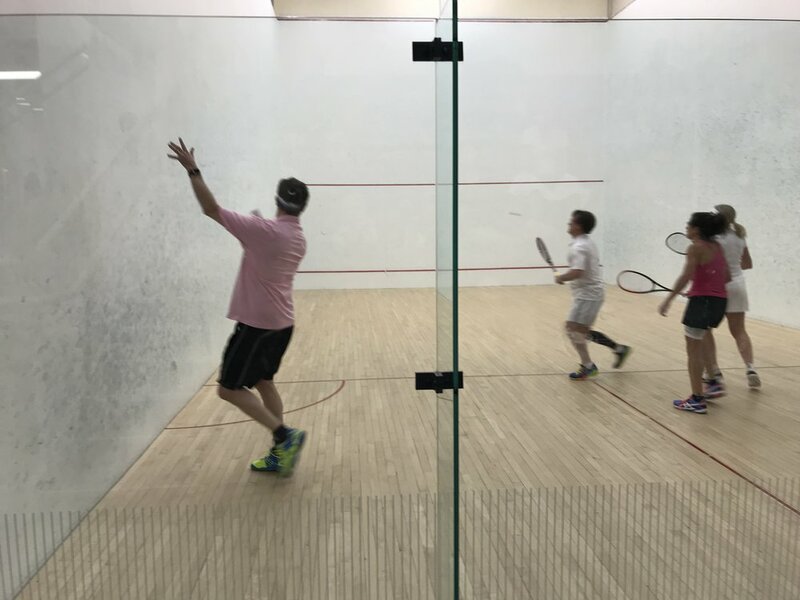 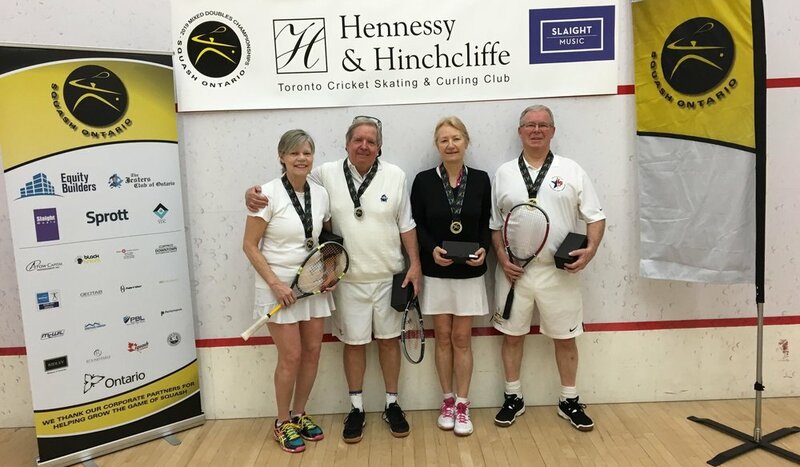 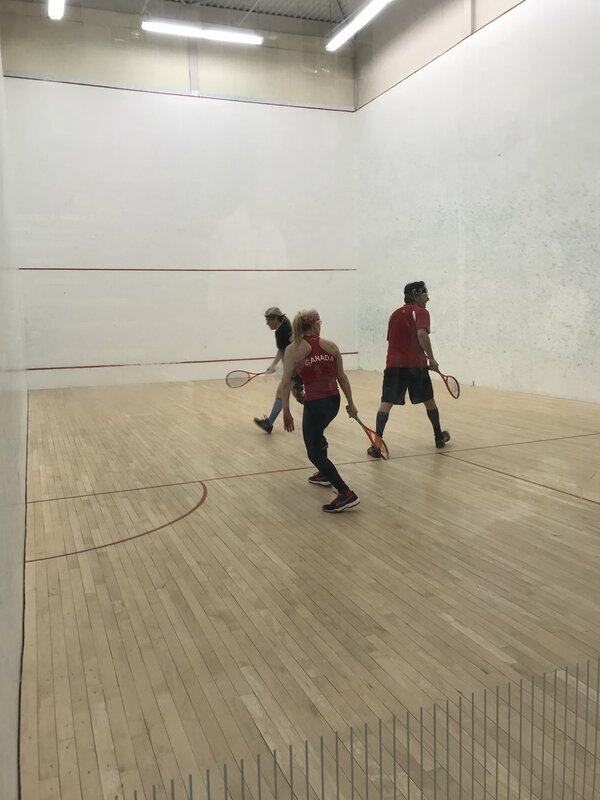 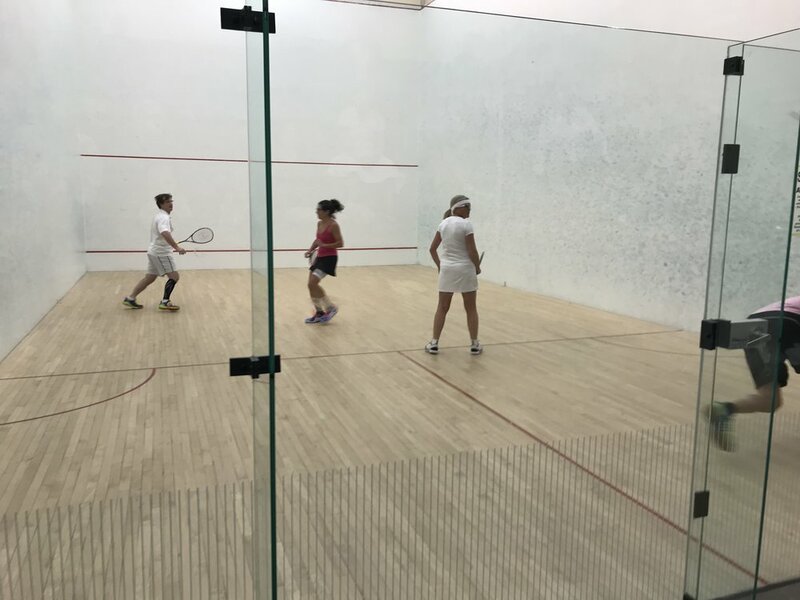 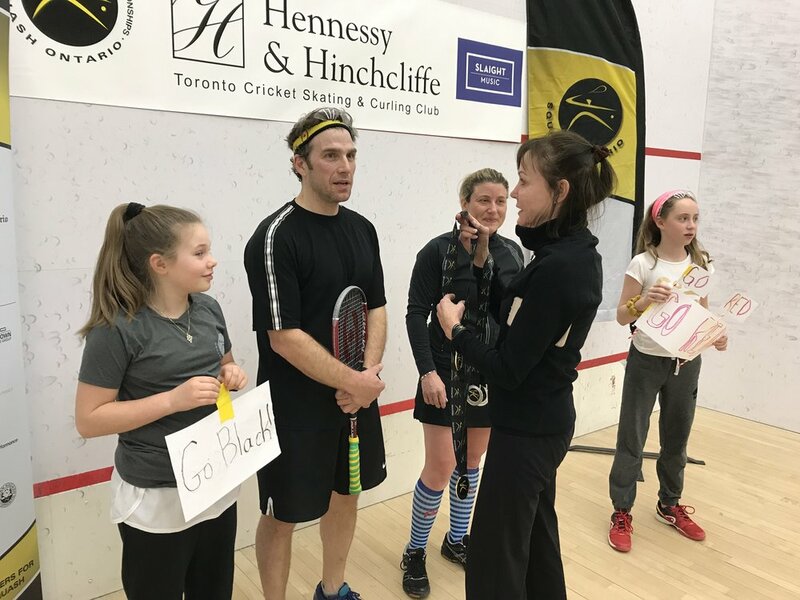 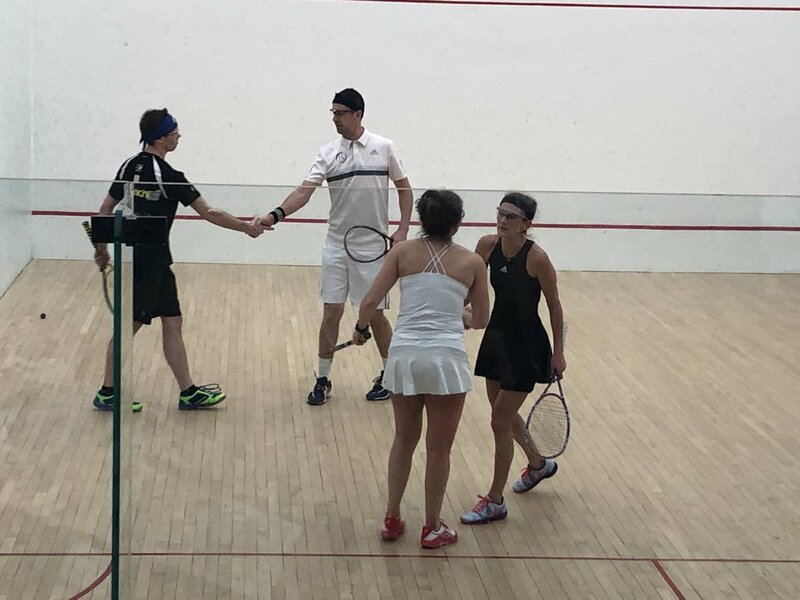 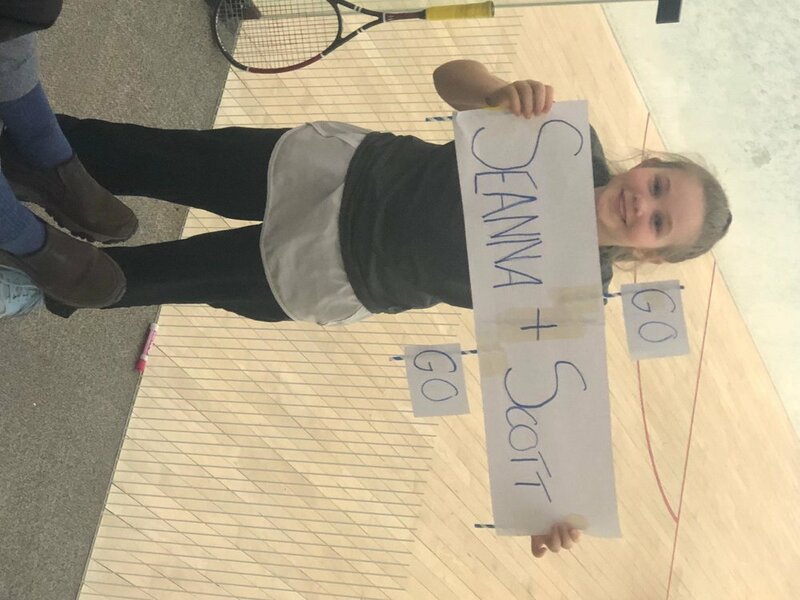 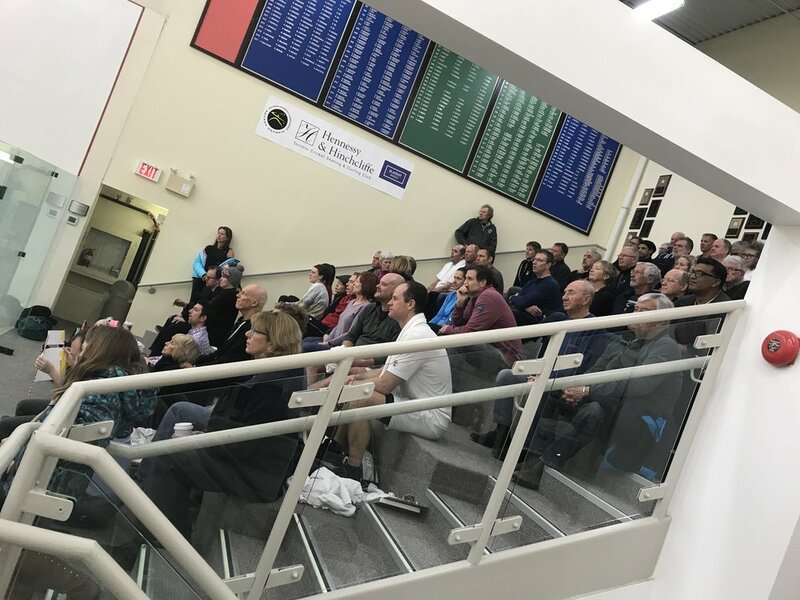 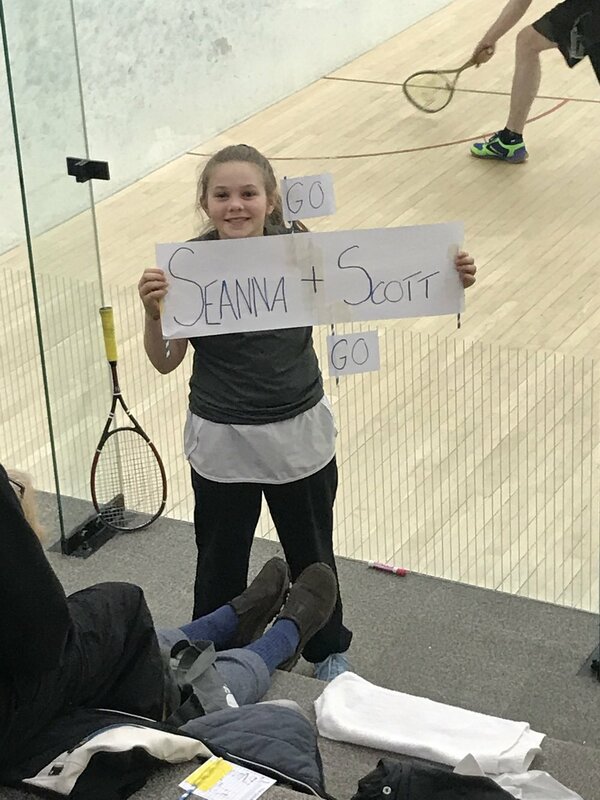 The 2019 Hennessy & Hinchcliffe Ontario Mixed Doubles Championships has kicked off the year with record setting participation and outstanding leadership thanks to Tournament Organizers Pat Richardson and Robin Clarke, Tournament Referee Mark Warren, the team of volunteer referees and event organizers, and also the Squash Ontario team of Jamie Nicholls who made his debut in the 40s, Lauren Sachvie with impressive Open performances, and Lynsey Yates smiling through the Bs. 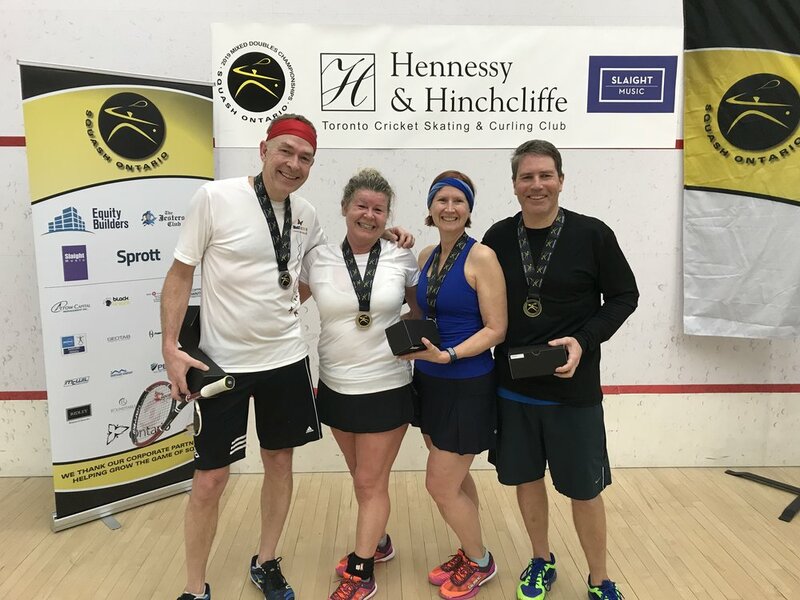 Two incredible sponsors need to be thanked as well - Title Sponsor Mark Hinchcliffe (who also played) of Hennessy & Hinchcliffe and Presenting Sponsor Gary Slaight with Slaight Music. 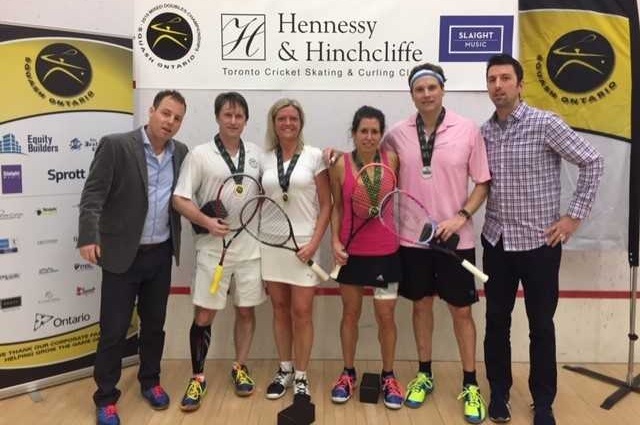 See below for a list of champions, finalists, and 3rd place finishers.